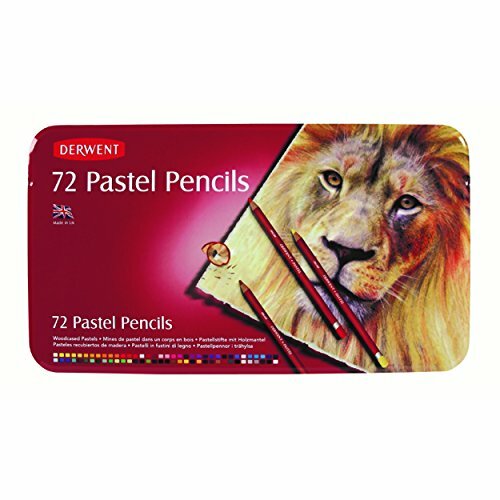 32996 Features: -Set includes 24 pastels in a tin: Process yellow, naples yellow, spectrum orange, cadmium red, crimson, magenta, violet, dioxazine purple, ultramarine, cyan, prussian blue, forest green, pea green, green oxide, olive green, sepia, raw umber, yellow ochre, chocolate, terracotta, french grey dark, aluminum grey, carbon black, titanium white, also includes a bonus blending white. -Colored pencil set. -Colors subject to change. -Pastel collection. Product Type: -Colored Pencils. Dimensions: Overall Height - Top to Bottom: -14.49 Inches. Overall Width - Side to Side: -7.87 Inches. Overall Depth - Front to Back: -1.34 Inches. Overall Product Weight: -38.1 Pounds.